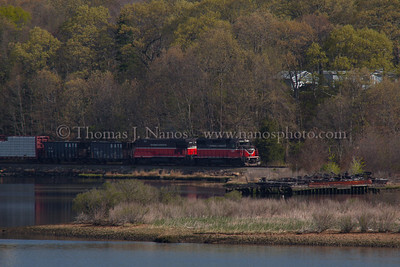 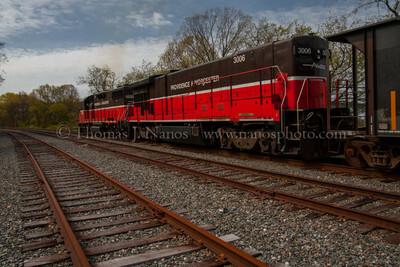 NR-2 in Preston Providence & Worcester train NR-2 heads south along the Thames River in Preston, CT past a sunken barge. 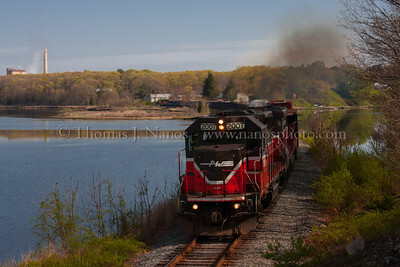 NR-2 in Two Towns Providence & Worcester train NR-2 enters Ledyard, CT after crossing over the inlet to Poquetanuck Cove. 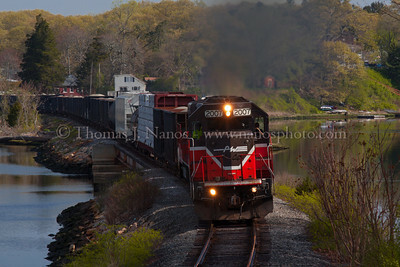 P&W NR-2 along the Thames Providence & Worcester train NR-2 rolls south along the Thames River - the front half in Ledyard, CT, the rear in Preston. 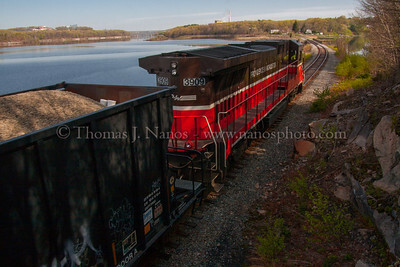 Visible in the distant background is the Mohegan-Pequot bridge carrying Route 2A over the Thames River between Uncasville and Preston. 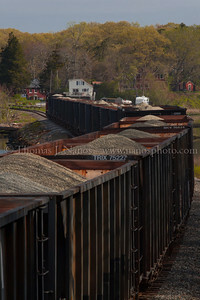 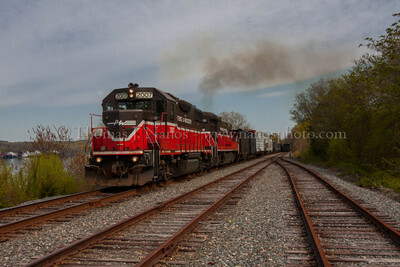 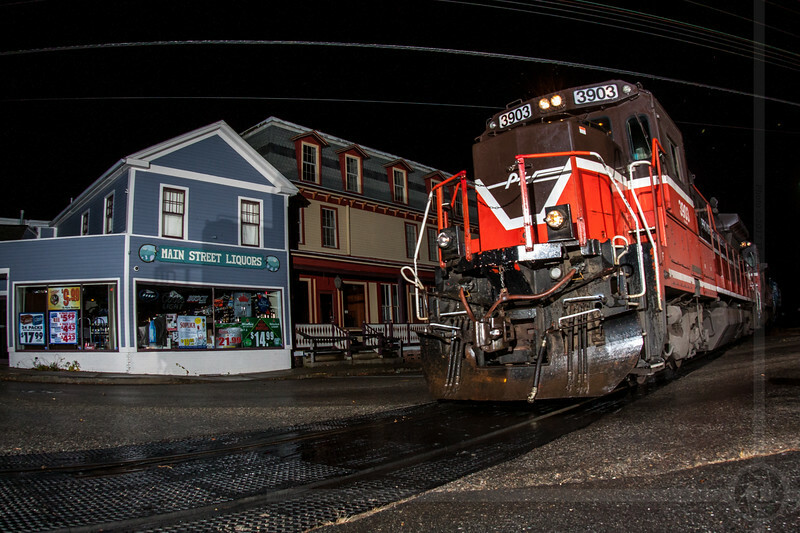 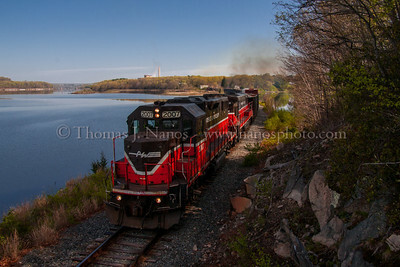 All in Ledyard now P&W NR-2 is now completely in Ledyard, CT as the tail end of the train passes by my position. 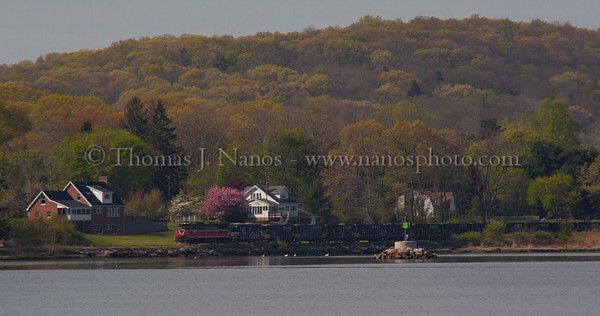 Bigger is Better A comparison of the two Niantic River Drawbridge moveable spans on Amtrak's Shore Line - the smaller one being the existing, more than century old span. The new span should be in full service by the end of 2012. 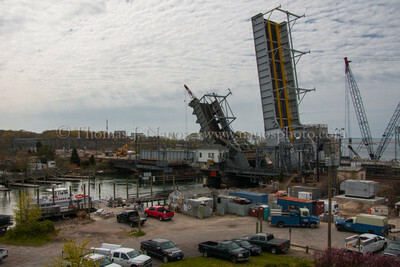 NAN Progress A view of the construction site around Amtrak's Niantic River drawbridge replacement project. 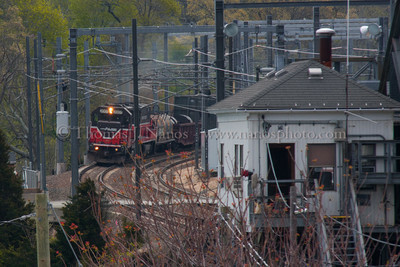 NR-2 approaching NAN P&W NR-2 approaches NAN from the east. 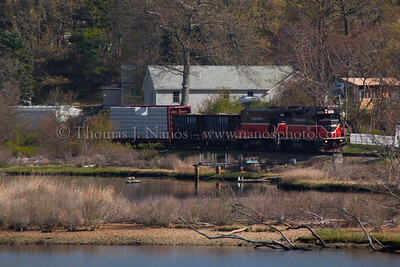 P&W NR-2 at NAN Providence & Worcester train NR-2 crosses over the Niantic River Drawbridge on Amtrak's Shore Line. 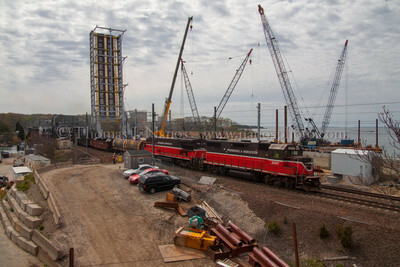 In the background is the replacement bridge, scheduled to be completed by the end of 2012. 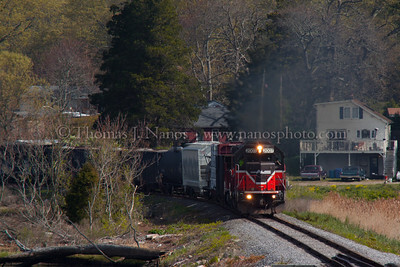 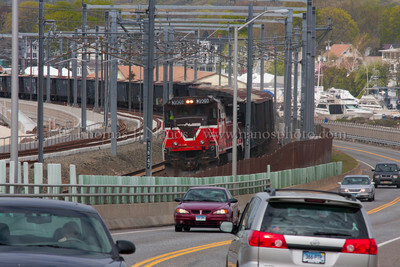 NR-2 heading west The tail end of P&W NR-2 moves through the curve in Niantic as traffic goes by on Route 156. 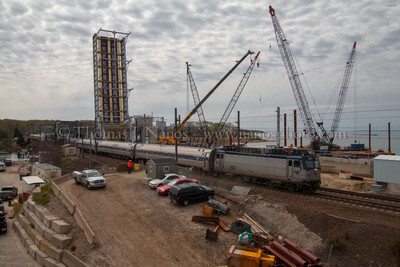 Of note is the new track alignment for the new bridge, located to the left of the train. 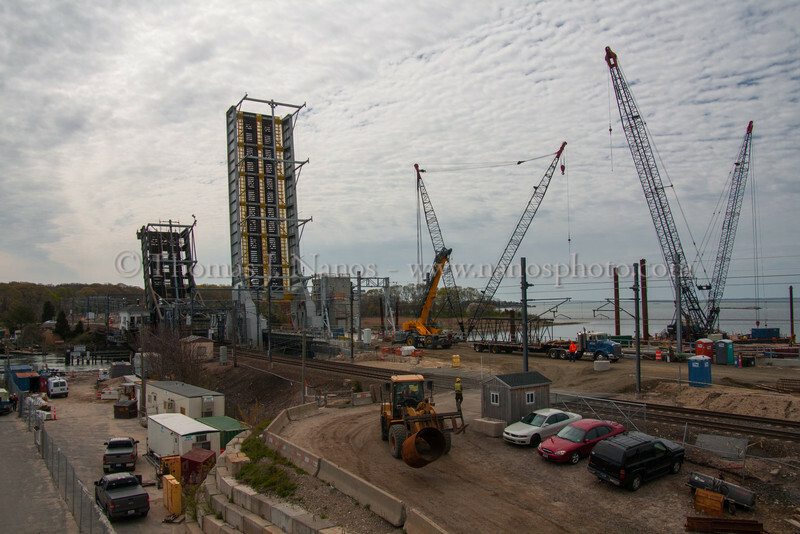 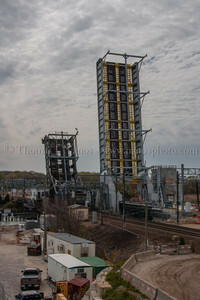 A view of the construction site around Amtrak's Niantic River drawbridge replacement project.